Before applying ♥ the transparent nail polish and also a base ,you need to have a clean nail..Wash your hand before applying anything :)..
1st layer of the base colour♥..If not dark or colour not obvious enough you can apply another layer / second time to make it look darker..Be patient♥wait until it try before you apply the next layer :) if not wont get a nice outcome♥! 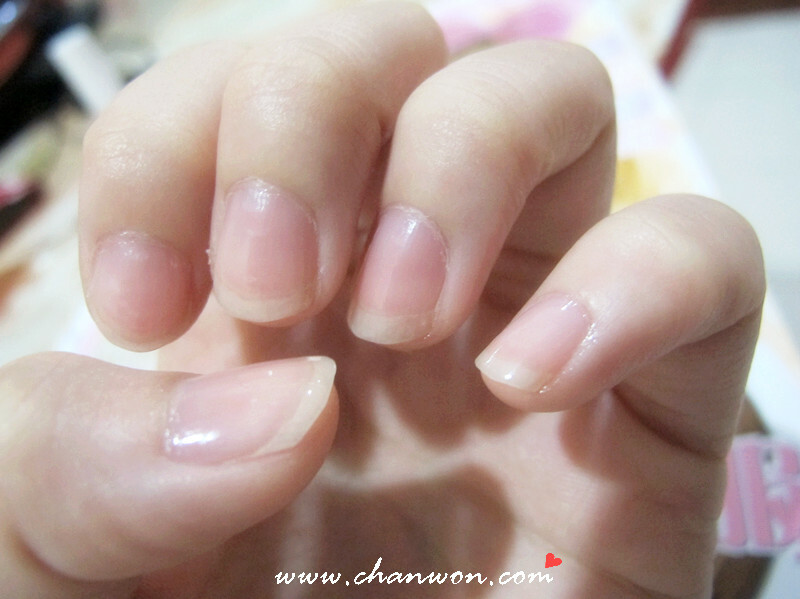 Then use the nail polish set...Bought from Etude House♥.. The picture above shows from left to the right = Konad Stamper ,Konad Scraper and also Image plate♥..
Just apply a white colour nail polish on the surface of the image plate♥[like the image above] then remove the extra nail polish by using a Konad Scraper♥..After that use the Konad stamper to stamp the image from the image plate! Then stamp the image on your nail! 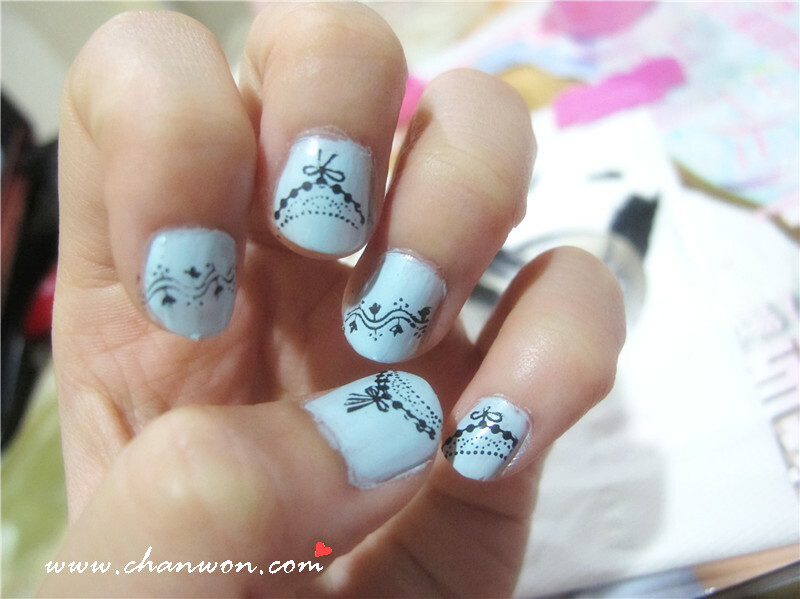 Youtube tutorial : How to use Konad Stamping Nail Art♥..
Oh yea♥..before i forgot... I helping my friends to promote a Bazaar which will be held on this coming weekend :D Her coursework marks will be given base on this coming Bazaar..If you're interested to join them in this Bazaar..You can contact them with the facebook link below! Viva La Bazaar♥ will be there also.. I love Viva La Bazaar♥ :D There have a lot nice stuff you can buy with cheap price! I planned to go there in this coming weekend i think..Sunday maybe?! Hope can see you guys on that day...Oh yea! This is also a Bazaar for Charity purpose :) Why not to support babies! Show your support ya..Love ♥..